I love this recording. I heard Renee Fleming's voice in television when I was 15-year-old. I thought she would be a great opera singer so I was looking foward to hearing her voice in disc someday. Now I can hear her voice at last! I'm very happy to listen to those songs. In every songs, her beautiful and enchanting voice is suited well. I think it's very natural that this album received the Grammy Award. So, I have three of my favorite singer. Julie Andrews, Cecilia Bartoli, and Renee Fleming. Since many people feel the need to compare Renee Fleming to Dame Joan Sutherland I guess I will too. Both have big, full bodied voices, Sutherland's is rounder, Fleming's has much better projection. Both have a particularly fine vocal trill technique and considerable vocal range. Fleming has absolutley clear diction so that you har every word clearly, Sutherland sacrificed diction for tone to the point that most of the words weren't distinguishable. Both are magnificent musicians, Fleming has a tendency to be overly dramatic at points. When you add it all up these two sopranos are pretty much even. So if you approach this cd with the notion that Fleming can't compare to Sutherland you're really going to miss out on some beautiful music. Some tracks of particular note are a splendid rendition of Che il bel sogno di Doretta, Morgen, and Rachmaninov's Vocalise. Fleming's vibrato is very natural and not forced or overly wide. Fleming is already showing all of the characteristics of a mature vocalist. All in all, this is an essential cd to any music fan. Highest Recommendation. You will love this CD. I heard a friend playing it and knew that I would have to get it some day. It is truly gorgeous. I am amazed by some of the reviewers who can dare to give this recording fewer than five stars. I know there are some opera perfectionists out there who can be fickle, but this recording is gorgeous. I'm willing to concede that Renee Fleming may not be the greatest opera singer the world has had in the last 100 years, but her voice is what the title says--beautiful. Fleming has worked hard to get where she is today and it shows. Jeffrey Tate seems to do a fine job, and he doesn't get in the way. Fleming sings each aria with flair, amazing presence, and musical integrity. Each aria showcases her voice, and yet is quite musically inspiring. "Chi il bel sogno" by Puccini and "Marietta's Lied" by Korngold (an oft-overlooked composer) are among my favorites. I also like the aria from Carmina Burana as well as the one from Manon. If you click on the Manon aria (Track 3) to listen online, you will be sold on the CD. If you don't know anything about opera, you will love this recording. If you are an opera fanatic--no matter who your "favorite" soprano is--you will be forced to admit the singing here deserves instant respect. The most beautiful voice in the world!! This woman sings and heaven opens up. A golden, pure voice and yet an artist, an artist working on her portrayals. Like all human beings she isn't perfect but every breath she records is filled with this incredible passion and emotion. Seeing her in several Strauss-operas was absolute heaven, what would I give for a video of "Der Rosenkavalier" with her as Marschallin! Mind you, I love Schwarzkopf and Jones in this role but, my god, Fleming would be heaven. Fleming here gives some truly magnificent examples of singing. Her Sogno di Doretta is the best I have have ever heard. This aria devides the singers into 2 categories. Those who can sing the difficult part and those who omitt a note in it. I won't refer to the well known singers who omitt the very small note in the fioritura part, but I will mention that Fleming here does an exemplary reading of this aria plus with the best vocal colour I have heard for Doretta. This is one of those albums that is conceived as a program carefully calculated to give the listener Goosebumps and evoke a tear from the eye. When lesser musicians try to pull such a stunt, the effect is maddening. You feel as though you are being emotionally manipulated, and you resent it. When the efforts of first class musicians such as Higginbottom and the Choir of New College, Oxford, attempt such a feat, it is an emotional, musical, and religious experience. The majority of the repertoire heard on this disc is quite familiar to most listeners in one form or another, but you will rarely hear a choir of such clean, precise and yet passionate sound take on these pieces. The first selection on the disc is Samuel Barber's own transcription of his "Adagio for Strings" to the Mass text, "Agnus Dei." This composition is difficult for string players to keep in tune, so we can imagine how difficult it is for a choir to sustain the pitch a cappella! The New College performance is a "must hear." Words fail to adequately convey the beauty, balance, and intense music making captured on this disc. The effect is hypnotic. The conductor had the good sense and taste to offer a program with enough variety that you are given an emotional rest on occasion, but the basic meditative atmosphere is sustained throughout the program. The Elgar transcription of "Lux Aeterna" arranged by John Cameron is particularly worth treasuring. It shares much of the ethos of the Barber work and is rarely heard in this form. The Bach, Mozart, Mendelssohn and Faure which round out the work are very familiar favorites and given graceful, splendid performances. They are so good, in fact, that it would make the album a great gift idea for churches to give amateur choir members as a thank you and inspiration for improvement. The Rachmaninoff and Gorecki are music for the initiated and receive convincing, winning performances here. The Allegri, though rarely heard, is a hauntingly beautiful composition and was a particular favorite of Mozart. This beautiful album makes a wonderful background for meditation. It is the perfect music to glory in when your soul is thirsty. Two of the most beautiful choral masterpieces ever penned are included in this recording. "Miserere mei, Deus" by Gregorio Allegri features stunning ly beautiful treble solos by Thomas Herford and William Petter. The beauty of this work cannot be described by mere words. One must hear it to fully appreciate its beauty. Also featured on this album is "Hear my Prayer" by Felix Mendelssohn. This choral piece features another beautiful treble solo by Thomas Herford. The ending segment of this choral masterpiece has been extracted by many cathedral choirs and treble soloists and recorded under the name "O for the Wings of a Dove". (The most notable rendition was recorded by Anthony Way, a chorister at St. Paul's Cathedral and featured in a "Masterpiece Theater" presentation of "The Choir",which he starred in as the main character, Henry Francis Ashworth. (an interesting piece of trivia worth mentioning)). Other works featured on this album include pieces by Bach, Fuare', Mozart, Rachmaninov, Elgar, Gorecki, and Tavener. This album is truely a choral masterpiece!! I usually don't like these sort of "Classical Mixes" that give you snippets of work that are particularily interesting to the non-initiated. For the sake of classical music, it's far better to listen to an entire piece and appreciate it on the whole. However, this album contains one of the best recordings of "Ave Verum Corpus" I have ever heard. Even if you are only a casual listener of classical, this performance will turn your ears inside-out. The sheer beauty of this rendition is ethereal, the synthesis of voices and strings perfect, and the conducting flawless. It conveys a good portion of the full weight of Mozart's joyful genius. If the mood is constructed just right then and there, I get tearful. Listening to Mozart; I hear the most effusive joy, even in his Requiem. It's as if he is rejoicing at the gift of his talent by exercising it fully in every piece. But if Mozart was ever arrogant or pompous in life, I cannot hear it in his music. This CD contains works so masterfully executed that you feel that you are in a church hearing the works performed live. I used this CD in my church for meditation at Eastertide. I listen to it every day and am transported to the place that the CD advertises, a place of inner harmony. I highly recommend it. Callas singing Harbanera backed by the chorus is majestic and sublime. Heard it one day at work on public radio and had to have it. I WOULD RECOMMEND THIS CD TO ALL TYPES OF MUSIC LOVERS. I FELL IN LOVE WITH SOME BACKGROUND MUSIC FROM THE AMERICAN PRESIDENT AND SEARCHED FOR THE SONG - FLOWER DUET - AND PURCHASED THIS CD. I WAS VERY IMPRESSED BY ALL THE SONGS. ANYONE WHO DOESN'T LIKE OPERA , HAS PROBABLY HEARD MANY OF THESE SONGS AS BACKGROUND MUSIC FROM THEIR FAVORITE MOVIES. IT'S A BEAUTIFUL COLLECTION. I'd like to remind potential buyers that about a third of the chants on this cd are from Rachmaninoff's Vespers and Divine Liturgy. 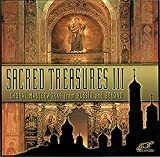 If you already have those cds, maybe you should think twice before buying Sacred Treasures III, which is definitely inferior to Sacred Treasures I, although still very beautiful (especially the first and second tracks). This is among my most favorite collections of music I have ever owned. I can't say enough good things about it, everything about it is simply beautiful. 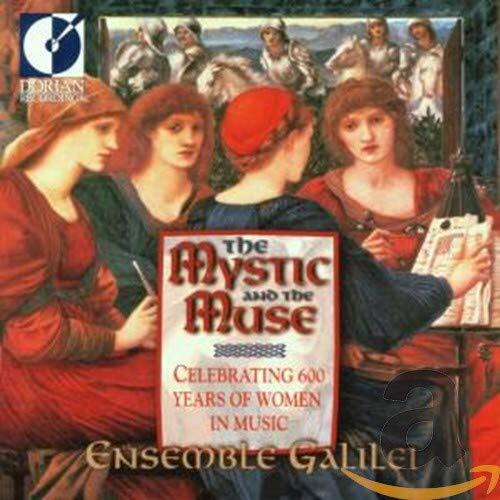 If you enjoy this type of music, this CD has a wonderful variety of sounds, melodies and moods. Superbly and majestically sung and recorded. Disagree with another reviewer on track 5; I don't think this one fits at all with the theme and spirit of the album. Track 12, The Lord's Prayer is perhaps the pinnacle - though not the most complex, surely the most reverent and spiritual. 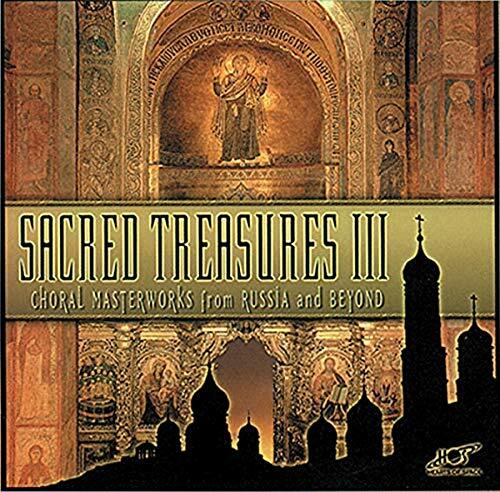 This one, plus (even more so) Peter Tchaikovsky's Cerubimic Hymn on Sacred Treasures I, back-to-back, are nothing short of stunning, overwhelmingly moving, bring-you-to-tears examples of why music of the Russian Orthodox Church is an unparalleled experience never to be forgotten; especially to the believer. Lots of other first rate selections as well. If you know music, but particularly have some understanding of the Orthodox sense of sprirituality and have Slavic blood, this will hit you down to the DNA. Worth Buying Just for Track 5! I have a number of choral and chant CD's, and I have to say that this one is my favorite. I think I like it even more than Sacred Treasures I, as it seems more melodious. A good deal of choral and chant music can lack warmth and accessibility, but not this CD. The beautifully recorded music here reverberates and shimmers. The music covers a wide cross-section of historically important pieces, from ancient Greek Orthodox chant through early 20th Century choral masterpieces of Rachmaninov, plus one modern fantasy setting of Bach's Apollonian masterpiece "Komm Susser Tod" ("Come Sweet Death") by Scandinavian composer Gunnar Eriksson. And the Komitas-penned "Sourp Sourp" (Holy Holy) might be the most beautiful song I've ever heard. I bought this CD on an impulse, not knowing what to expect. 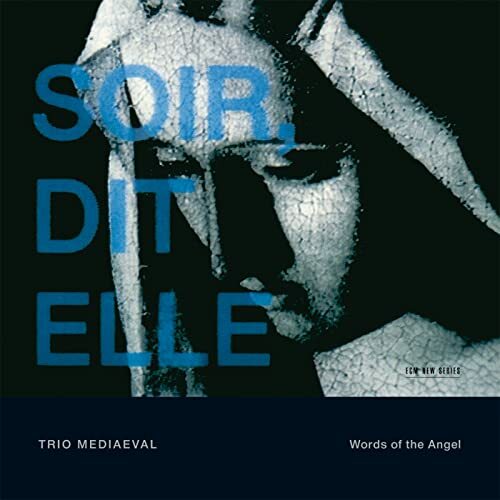 The three a capella female vocalists harmonize in the most eerily beautiful way -- this CD is as close to transcendental music as I've ever heard. Everyone I've shared it with has had the same reaction -- the music is riviting and relaxing at the same time. 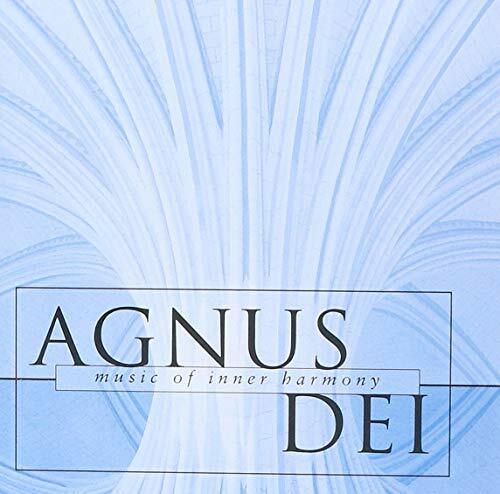 A must for Gregorian chant lovers and anyone else who appreciates the majesty of the human voice. This CD is so beautiful and relaxing. It's like a mental massage. I don't know a lot about music, but this recording and the voices of these women are so pure and in harmony, that I can't imagine it being any better. This CD was not exactly what I expected, but the fault is mine, not the CD's. 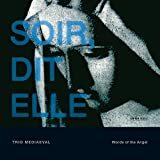 I saw that there were a number of Gregorian chants, but was expecting there to also be some songs with harmonies and rhythms more consistent with secular medieval music. 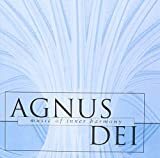 There was really very little of that (a few tracks were more musical and less chant-y, but still unmistakably "church music"), but the music was everything you could hope for in a recording of Gregorian chants. 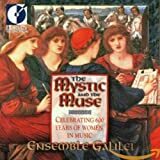 Beautiful female voices add a different dimension to the music than the more widely-recorded monastic renditions of these chants. The music is very atmospheric, and evoked memories of the quiet stillness of European cathedrals (specifically Reims, in my case, probably because that's the most impressive cathedral I've ever been in). It was definitely recorded in a cathedral-like space, though. The acoustics practically scream of high stone ceilings. This one is definitely worth a listen. A vocal wonder like her only appears once in a million years. She is more than air-headed brilliance but she has it all. That is why she beats all sopranos today, even after 30 years after her death and 40 years after her last performance. She IS the voice of the century, even the voice of THIS century. As for the guy who mentioned Sills: What's a lyric coloratura who never did half of Callas' dramatic repertoire compared to her? Absolutely SILLY to compare the two. Maria Callas REIGNS opera even today, her name rings a bell with everyone while so many "pretty" voices have gome and gone. She will be adored in the centuries to come. Is there a "Voice of the Century"??? If there is, the title goes to the Prima Donna del Mondo, Maria Callas. I never understood the bashers saying her voice wasn't beautiful. It's like always eating vanilla icecream and because that tastes good, one never gives other flavors a chance. And Callas had all those flavours in her voice. Innocent light colours, jealousy, love, hatred, madness, fear, anguish... It's all there. She's not a singing machine but a human being. Art is human, not mechanic science. Why isn't she forgotten her last performance being about 40 years ago? I'll tell you why with a quote: "She, more than others, gave opera its truest meaning!" Having a nice voice isn't enough, how many pretty voices have come and gone? This compilation is a timeless masterpiece and belongs in every Opera-Collection! Maria Callas had an amazing voice. I find it to be very beautiful and moving. She had the ability of becoming the character she was portraying and combined with an exquisite technique we get what is called "The voice of the century". Viva La Callas, she is amazing! The voice of the century indeed! Callas is the voice of the century! PERIOD! Anyone comparing a lyric coloratura to Callas' powerful soprano sfogato should check the facts again. Callas rules my world! 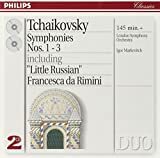 You can't find a better set of Tchaikovsky's early symphonies in one set. Markevitch has complete control over the London Symphony and they play these neglected symphonies beautifully. At a great price, this is the best (and only I might add) compilation to get! You will not find a better perfomance, of this often neglected works from Tchaikovsky, and there are inmature, but I enjoy them very much. A lot has been said about the way both Kathleen Battle and Wynton Marsalis sometimes embelish their baroque performances, but this recording is an exeption: all feeling and no flashiness - both performers display a dazzling enthusiasm coupled with immense talent. The opening track, Handel's Let the Bright Seraphim, is a brilliantly refreshing version of a very famous and often recorded piece that sets the tone for the whole CD. Other highlights include Handel's Eternal Source of Light Divine and Bach's Seufzer Tranen Kummer Not. Kathleen's voice is delicate and expressive and perfectly suited for this type of music, her technique may not be perfect, but her ability to convey feeling makes up for this minor drawback. Wynton in the ultimate trumpet virtuoso, both innovative and technically flawless, and you feel he could turn any piece of music into something worth listening. The repertoire is fabulous and you can hardly imagine two more complete performers for these masterpieces. 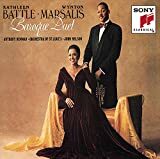 It is difficult to express in words the experience of hearing Kathleen Battle and Wynton Marsalis perform this brilliant and difficult pieces on this recording. Every single number on this recital of Baroque pieces for voice and trumpet is a wonder of energy and technical precision. Kathleen Battle's silvery voice is particularly fond of the Baroque repertoire. The extremely difficult arias and cantatas of this CD suit Battle's voice perfectly. The soprano shines with nimble coloratura, soaring high notes (up to brilliant C's and D's)and precise control of dynamics. Marsalis is a perfect partner for Battle, a true virtuoso capable of establishing an effective rapport with the vocal line. The ornamentation used by both artists is both tasteful and brilliant, always mindful that this music calls for both display and ensemble work. John Nelson, an accomplished Baroque conductor, conducts with his usual mastery the Orchestra of St. Luke's, an ensemble who brings excellent support to the work of the soloists. Among the highlights of the recording are Let the Bright Seraphim, with the brilliant trills of both Battle and Marsalis, the fours arias from Scarlatti's Arie con Tromba Sola, and above all, the two movements from Bach's Cantata No. 51 that close the program. These are perhaps the best interpretations of this cantata movements I have ever heard. An unique recording that proves what the term "virtuoso" really means. Highly recommended. Oh, well - what did I expect? Baroque just isn't Ms Battle's forte - I've heard her perform Mozart reasonably well, although she's a singer I just can't bear to watch - what with all the excessive mouthing and grimacing which I find extremely distracting - I hope this recording never comes out on DVD! Wynton Marsalis, on the other hand is on top form, as usual - what a performer! I'm surprised he has time to play this type of music, what with him being so busy saving Jazz from extinction 'n all - whew! what a guy! As a lover of Baroque music, I was looking forward immensely to hearing this cd, but what a disapointment it turned out to be! Kathleen Battle is just not suited to the baroque repetoire, and having heard her sing on this cd, it is difficult to know what repetoire, if any, would suit her! She is technically okay, but imbues all her singing with a coldness that would chill the devil himself! Her voice is too light and too boring and I found it impossible to sit through the whole cd in one go. Whilst other opera singers can combine emotional intensity, colaratura pyrotechnics and technical brilliance, Ms Battle only manages to bore the listener with her ramblings, her colaratura sounding more like warbling than actual singing, whilst after a few arias, her voice becomes intensely annoying due to its lack of variation. Thankfully, Kathleen battle is not as popular in Britain as she appears to be in the USA, and on the evidence of this cd, I cannot see that changing any time soon. The only reason why I gave this review 2 stars is because of the playing of Wynton Marsalis, which is outstanding, especially next to the mediocrity of Kathleen Battle. My money may have been wasted in purchasing this cd, but at least I now have an extra drinks coaster onto which I can place my cup of coffee! What a spectacular event! A collaboration made in Heaven! This is a particularly dangerous album; be warned. They start you with this CD, then before you know it, you're buying recording after recording of PDQ Bach and Peter Schickele. 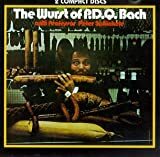 While I don't know that these necessarily are the best (or wurst) of the full collection (continued excavations reveal material as funny and literate as when first discovered in the mid-50's), it is certainly the definitive exposition and invitation to the works of PDQ Bach. I'm listening to it as I write this, and it's as wonderful as it was when my mom got me hooked on it twenty years ago: I received a copy for my birthday, but didn't listen to it for several weeks after. While doing homework one evening, I put it on as background music, not realizing the subconscious effect it would have on me for the rest of my life. I'm scarred to this day. If you enjoy classical music and a good belly laugh, this isn imperative addition to your collection. 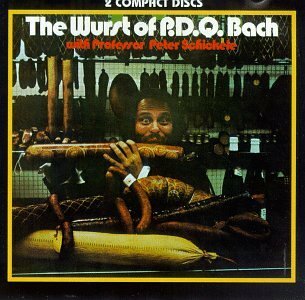 This was my very first PDQ Bach album, and still my favorite. Thanks Kevin!!! 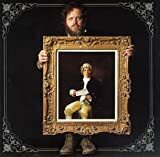 There are things here that Peter Schickele (PDQ Bach's ghost composer) has never equalled, at least not in the few other records that I have heard or own. I own the double-LP (a beautifully produced set on Vanguard; the CD can't possibly match it in style!) and have been searching for the CD for years, and never thought to look here! If you like PDQ Bach, this album is an excellent introduction to PDQ Bach for your friends (and enemies). My friend and I saw the good Prof. Schickele here in Pasadena last night (March 29th-- AND the conductor of the Pasadena Symphony is Jorge Meister!) -- and the last number on the program was the WONDERFUL "The Seasonings"-- I had a very hard time even after all these years of first hearing this on a REAL record of not singing along with every little tune!!! This piece last night, being sung by singers whom I do not doubt were not even born when I first heard a recording of it, were as good as the ones I remember from my decadent youth on the original recording. Buy this C.D. if only for this piece! I store it in the CD changer in my car. definitive statement of a benevolent sense of life. It was while sitting in Music Appreciation in college that I was first introduced to the work of P.D.Q. Bach, specifically the track "New Horizons in Music Appreciation: Beethoven's Fifth Symphony," in which Professor Peter Schickele and Robert Dennis serve as the announcers for a spirited game involving the first movement of that particular work. Not only was it funny ("He's playing a cadenza! He's out of his mind! He thinks its an oboe concerto!") it was also more informative than the professor ("I get the feeling we are going to hear a lot of that four note motif, Bob"). One of the things about P.D.Q. Bach is that the more I learned about classical music the funnier I found it. Yes, I have enough memories of my mother insisting on playing the Texaco Opera quiz throughout the house on a Saturday afternoon to appreciate why "What's my Melodic Line?" and its exploration of the mysteries of the Baroque is funny, but it was not until I saw "Amadeus" and listened to "The Marriage of Figaro" that I understood why the recitatias in the Cantata "Iphigenia in Brooklyn" were hysterical (I was tempted to share this story of Iphigenia with my Classical Mythology class, but given their tentativeness to explore Euripides I did not think it wise to have them get neck deep in Schickele). Then again, the Madrigal "My Bonnie Lass She Smelleth" really needs no explanation, so there is something for everybody here, no matter what you level of understanding of classical music. In discussing the works of P.D.Q. Bach with others it becomes clear that you can no more put together an idea collection of his "best" work than you can for lesser composers like Mozart or Beethoven. But you are certainly going to find a few old favorites and maybe one or two pieces that you have hitherto managed to avoid. Almost all Carnegie Hall recordings are good because the venue delivers excellent accoustic effect and this one is no exception. This is a good recording for it loyally captured Paul's live performance of songs and monologues. After 12 years of its first CD version release and 26 years of his death in 1976, I would suggest that this album be remastered with today's technology to further restore the fidelity. There should also be more comprehensive liner notes to the tracks. The "Chinese Children's Song" (track 6) seems to be arbitrarily named. This popular Mandarin folk song was written by Wang Luo-Bin in China more than half a century ago and the name should be "In That Faraway Place". Jose Carreras has also recorded this song and included it using the correct name "In That Faraway Place" as an extra bonus (track 14) for the Asian version of his CD album "Passion" (1996). Since this song is so much liked by the Chinese, Jose has been performing this song as an encore piece in his recitals to the Chinese audience. Although Jose Carreras performed better in this song, Paul Robeson was probably the very first to introduce it to the West. This historical recording is certainly an evidence. 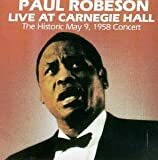 The 22 songs and monologues represent the best of Paul Robeson, and caused me to become reacquainted with a man of exceptional quality I valued as a child. This is a live recording from Carnegie Hall, May 9, 1958. Hidden between the variety of lyrics in several languages is Robeson's life. "My Curly Head Baby" might have been sung by his daddy, a former slave. Perhaps Robeson remembered his mother who died in a fire when he was young vibrating with Bach's "Christ lag in Todesbanden". The actor Robeson speaks in his dynamic voice with the last monologue from Shakespeare's "Othello". The civil rights leader, thrilled the audience nearly a 1/2 century ago as it will listeners today, concludes the concert with "All Men Are Brothers". As the writer of the notes that come with the CD says, "A song to him must be a genuine human experience." Everytime I listen to this CD, it's an unforgetable experience repeated time and again! One of the finest live recordings ever. This record was recorded a year after Paul Robeson's passport was returned to him, having been withdrawn for seven years on account of his 'un-american' activities. Few other concert records will move you to tears so easily, and I challenge your heart not to break as your hear him sing 'Balm in Gilead'. Among other gems, listen for the magic moment as Robeson finishes 'My Curly-Headed Baby', a classic he'd sung since the 1930s, pauses... says quietly, smiling, "And now..." ... and in a rush, very fast, "OlManRiver!" and the enormous roar of the crowd, lifting the roof off Carnegie Hall. Sorry...I'm blunt...so here goes. It's one of histories greatest ironic tragedies that someone would be castrated in order to be a castrati, and then end up having no talent. It's like a midget having a dream of playing in the NBA, or a one-legged man dead set on being a tap dancer. Not necessarily the best of the castrati, but certainly one of the most honored and distinct. A joy to hear. Realize they will never be heard again, although there are some vocalists out there with natural..how should I put this.. a natural lack of (...) that have lovely voices, but perhaps the tragedy of surgery makes it all the more a song from the heart. There will never be anything quite like this cd again. And thank God for that! Castration was a hideous dark spot on the history of classical music. Still, anyone interested in the human voice should own this cd. Many listeners have pointed out the technical flaws in the performance and Prof. Moreschi's voice. I would like to suggest that they are missing the point. No, he was not a great singer but he was the last of his kind. This one disc is all that is left of a tradition, a vocal type, a way of life and a group of people. As such, its value is beyond belief. Whenever I hold it in my hands I think with awe "This is all we have." The sound of the voice is unlike anything you've ever heard. If you are an aficionado of baroque opera like me you've probably heard countertenors, women playing castratos and the simulated castrato voice in the film "Farinelli". All are worth hearing but none truly capture the un-earthly sound of even a so-so castrato. And actually, Moreschi isn't really all that bad. The strange thing is that, for a kind of singer whose prime was the baroque era, Moreschi is an arch romantic! He truly comes alive in the Tosti songs (in "Ideale" we even get to hear something like a knockout castrato performance of old), Rossini's "Crucifixus" and the Bach-Gounod "Ave Maria". At least we can tell he was an involved singer. When he sings he means it. And the sound in the lower ranges is rather nice and as fully Italian as Caruso! On repeated listenings, I have developed a liking for Moreschi as a person. It could not have been easy for him but he sounds like someone who was determined to do his best despite his limited talents and that is as admirable as it gets. A word about the music on this disc. Much of it is sacharine pseudo-church mucic. I cannot say it is great but it does have sentimental charm and is performed with touching conviction by the Vatican musicians and the indomitable Prof. Moreschi (who conducts some of it). And this music is worth preserving in some way. Aside from its greater purpose, this disc fills a small gap in the history of church music. Aside from the songs, we also get some Mozart, Rossini, Palestrina, Vittoria and Gregorian chant. The choral pieces are especially valuable since they give us a glimplse of what a castrato was supposed to sound like contrasted with other voices. In historical terms, I refer readers to the critic who pointed out the insight this disc gives us into the somewhat sad but fascinating world of the Vatican at that time. The sound is shockingly good; my hat goes off to the Opal remastering team. Wonderful liner notes as well although I would have liked to have seen the photograph of Moreschi accompanied by Fred Gaisberg. If all this was not enough, we even get to hear the voice of the castrato-friendly Pope Leo XIII reading the "Ave Maria"! If you love classical music or the human voice or both, you should own this disc. In pure musical terms it gets three stars. In musical-historical, emotional and spiritual terms, the disc is simply priceless. If you are a fan of Opera or history or music or any of these things then you simply must hear this disc. These are recordings of extreme rarity which are made available and, perhaps more importantly, audible, through the dedication of the producers and the miracle of modern technology at the Yale noise reduction lab. 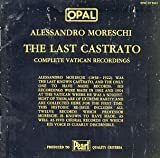 Professor Moreschi's voice is something that will never be heard again, and is the only example of what a Castrato sounded like, and that sound is amazing. It is at the same time beautiful, ethereal, and a little bit disturbing. In the event of a fire I will grab my wallet, my autographed Renee Fleming picture and this disc; everything else can burn. An Important Piece of History. Just because the album says, "the last castrato," one should not expect the likes of Senesino, Cusanino, or Farinelli. This recording was made in 1903, far past the dusk of the castrati singers, and it was made by a man past his musical prime, if he in fact ever had one in the first place. By the time Alessandro Moreschi was castrated in the later 1850s, the Age of Enlightenment, Napoleon, and Revolutions had come and gone, taking Baroque aesthetic notions along with the dusts of time. 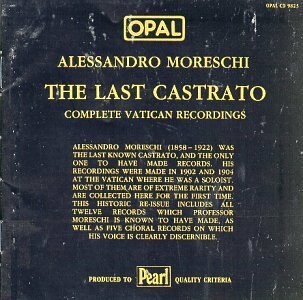 Of course, it is unfair to rate one's musical abilities based on a recording made in the later stages of life, however it is obvious that Moreschi was not a particularly great musician or singer, and it is important to note that by the time he began studying there was no one capable of training castrati anymore. This does not necessarily imply that this CD is bad. In fact, it is a very enjoyable as well as historically important and interesting recording. However, one should note a number of things. First of all, the recording quality is poor by today's standards, considering that all the tracks were originally recorded on a foil or paper cylinder (the Edison system), and the singers and/or instrumentalists had to crowd around an amplifying horn. Recording equipment was not necessarily by professionals. Also, it was not until the middle part of this century, beginning with the efforts of the great Gerald Moore, that piano accompaniment had become an art unto itself. The anonymous pianist on this recording does not do particular justice to the singers or the pieces. Thirdly, some of the stylistic aspects of these recordings may be somewhat shocking to the modern-day listener. Traditional bel canto singing contains a large number of "portamenti" (accacciaturas under each note) and swells in voice in tone that are a bit jarring by today's aesthetic notions. Given his age and lack of extensive training, Moreschi executes these nuances rather interestingly, to say the least. Another example is the intonation of the bass voice in the recording of "La Cruda Mia Nemica" by Giovanni da Palestrina. Lastly, just because the choir is the Pope's own from the Sistine Chapel does not imply that it is a great choir. Mired in exhausted and trite training techniques and notions of antiquity, the Sistine Choir, made up solely of men and boys, was not a particularly polished group for its time, and it is evident on this recording. In fact, the Sistine Choir is not even that wonderful today. 12. 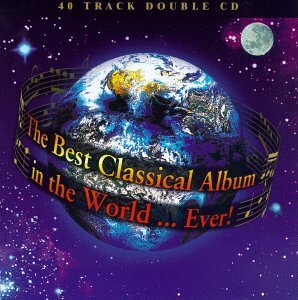 The Best Classical Album in the World... Ever! Many of these prior reviewers complain that the abundance of operas and vocals degrate this compilation. They don't know what they're talking about. These genres are what made Classical music popular in it's age. In that era the forum for showcasing "classical music" was operas! Hence why most of these works are lost in the shuffle. Most of us know Mozart and Beethoven's compositions by ear but there are so many other great composers that existed and these CD's will show you but a PIECE. But, fair warning, these CD's show only a small fraction of the whole movement (song). If you truly dig the genre you're in for a treat, investigate! This is a nice recording for folks who don't know much about classical music, and would serve as a wonderful introduction. It covers centuries of great music in a very listener-friendly format. I am sure that I will use this CD in my music classroom. For a seasoned classical music lover, however, the CD proves a bit frustrating, including only segments of masterworks (not even the entire movement of the Holst). I bought the CD for a few recordings, which I truly enjoy and make the CD a worthwile purchase. But I found (and I think that most classical musicians will find) that I already had many of these works in their entirety. Do not buy this C.D. (if you are new to classical music). I purchased this C.D. a few months ago as an intro to classical music. By now, I have found out Who my favorite composers are (Tchaikovsky, Bach, Wagner,), and I own several classical C.D.'s. "The best Classical Album in the world..." is still the worst classical C.D. in my collection... "Period". My main complaint Is the abundance of operas and other vocal styles. I am not at all into that type of music (yet). In addition to this, I found the over all song selection dissapointing. With all of the amazing classical music out there, they could have done much better. If you are new to classical music, Buy something else. Most Aggravating Album in the World! This CD is the first thing I ever returned to Amazon. It is an inferior product--selections cut off abruptly before the end, volume fades and returns in the middle of a cut...production values are pure schlock here. Maybe I should have expected as much from such a sophomoric title. A musical marriage made in heaven! In the early 1990s I began following the careers of two immensely talented young singers then on the verge of international stardom. The French tenor Roberto Alagna wowed Covent Garden audiences as Romeo and Rodolfo, and had received rave reviews throughout Europe. The splendid Mimi of Romanian soprano Angela Gheorghiu enlivened an otherwise lackluster 1994 Metropolitan Opera broadcast, and an astounding triumph at Covent Garden as Violetta followed. I had often longed for these two splendid young artists to sing together, and I got my wish in spades when it was publicly announced that they were madly in love - this disc was recorded 6 months before and released in the U.S. 4 days before their real-life marriage. While I and many opera fans are hopeless romantics who are delighted by such things, what really matters is that their VOICES are married. Let's just say that I have heard other singers who are either married or otherwise romantically involved who do not have nearly the rapport that these two people do. They are supremely sensitive to and supportive of each other's artistry and even more importantly, are ultimately the servants of the composer. Alagna's sweet, warm, earthy tenor and Gheorghiu's velvety, starlit soprano blend so perfectly that it often seems one voice is coming out of two mouths. Nowhere is this more true than on the triumph of the disc, 'Nuit d'ivresse' from Hector Berlioz's 'Les Troyens'. This is a good candidate for the best joint recording they have ever made and is certainly their best individual duet recording. While it is usually sung by a tenor with a heavier voice and a mezzo-soprano, the sheer lyricism of their voices renders this music utterly ravishing - I have never heard this piece sung more beautifully. And how many typical operatic 'love duet' albums would include something this rare? Their 'one voice' quality is also evident in 'Tornami a dir' from 'Don Pasquale', a triumph of heady sweetness, and again, not exactly standard fare. Throughout these selections, and indeed the entire album, we hear superb dynamic sensitivity and gorgeous pianissimo singing, and everything is sung with such dramatic intensity and immersion in character that you think you're hearing a live performance and not a recording. About the only quibble I have is that Alagna's diction in both French and Italian is so perfect that Gheorghiu's comes up a bit short by comparison. The Cherry Duet from 'L'Amico Fritz' which begins the album is full of sweet affection and wistfulness. In the Saint Sulpice scene from 'Manon', Gheorghiu is irresistibly seductive and tender and Alagna believably torn between Des Grieux's pain at Manon's betrayal and his love for her. Some may actually prefer this version of the duet to the slightly more 'verismo' and less subtle rendition of their complete recording under Antonio Pappano. The Garden Scene from 'Faust', albeit not quite as intense as in their recent Metropolitan Opera performances, is still a triumph of French style, sensitivity, and drama, again with absolutely gorgeous pianissimo singing, this time at 'Eternelle!'. This should be no surprise to anyone who has heard them sing 'Romeo et Juliette'. And, of course, these masters of Gounod's version of 'Romeo and Juliet' also make something special of Bernstein's. I don't believe I've ever heard 'Tonight' more beautifully and musically sung - and as Gheorghiu pointed out in an interview, this is not 'easy' music to sing. The only problem here is that 'West Side Story' is more about Anglo/Puerto Rican culture clash than about family feuds, and so it hurts somewhat that the singers have the wrong (and more importantly, too similar) accents. Nevertheless, their English is clear and understandable, and as usual they mean every word they sing. The disc concludes with a radiant 'O soave fanciulla', where Rodolfo's and Mimi's romance is off to a tender and teasing start. In addition to the six duets, each singer has two solo arias. Alagna's first is a splendid 'Ah, fuyez douce image', where he not only begins the aria pianissimo, but he makes more of the words than just about any tenor since Georges Thill. He follows this with a rollicking version of Paris' Entrance from 'La Belle Helene'. While not even Alagna can negotiate the B flat octave leaps with the ease of Jussi Bjorling (in his unsurpassable 1938 Swedish-language recording), he has the considerable advantage of native French speech, and a far better appreciation of the piece's humor. Gheorghiu has surpassed her two solo selections since making this recording - the 'Al dolce guidami' on her 'Casta Diva' bel canto disc and the 'Depuis le jour' on her live Covent Garden recital - but these versions demonstrate her ravishing top, command of legato, and extraordinary emotional expressivity. Richard Armstrong (the music director of the Scottish Opera, who also conducted Alagna's solo debut album) is with his singers all the way and he has the Covent Garden Orchestra play gorgeously . In particular, his molding of the orchestral line and color in the Berlioz is very impressive. Excellent documentation, with full texts and translations, by British vocal collector John Steane. Although this is focused (as it should be) on the music rather than the singers, there is also brief biographical information on both Alagna and Gheorghiu, which none of their subsequent EMI CDs have had. In short this album is a triumph from beginning to end and an absolute must for any lover of the human voice, absolutely giving lie to the common whine of 'all the great singers are gone forever'. Of course, you'll also have to buy Alagna's and Gheorghiu's complete opera recordings, their equally stunning Verdi duets CD, and too many individual solo albums to count. Almost anything either of these splendid artists do, separately or together, is worth buying and devouring. They're a Golden Age all by themselves! Since Roberto Alagna and Angela Gheorghiu are opera's favorite lovebirds, and real life husband and wife, it is not inconceivable that EMI would release a disk of arias and duets featuring the couple. The disk is reasonably good. It has the standard duets such as "O Soave Fanciulla" from LA BOHEME and "The Cherry Duet" from L'AMICO FRITZ as well as a few lesser known pieces that make the disk interesting. The Broadway stage is also included in a duet from Leonard Bernstein's WEST SIDE STORY. As beautiful as Bernstein's music is, it somehow does not fit in this recording. The two do a reasonably good job, both as soloists and together, but the disk lacks power. The two fail to generate the energy on this disk that the two seem to have on television and in video performances. Their acting abilities surpass many "Golden Age" stars, but their music, while technically good, fails to generate the same excitement as a Corelli--Price, Pavarotti--Freni, or a Callas--Di Stefano pairing would generate. None-the-less, the recording is not bad, and it will certainly be pleasing to fans of the two. This is lovely from beginning to end. These two singers really know how to put together a recital CD. It's always satisfying no matter how often I listen to it. The selections they sing are well suited to their voices. It's a pleasure. I can't recommend this CD enough. It's truly a shared program with neither one overwhelming the other. They each get their solo turns and the duets are wonderful. It's a Lovely, Lovely duet! This duets disc is very pleasant. I have heard of many duet disc in which Tenor and Soprano sing, and I'm tired of hearing such a disc. But this disc is cheerful. it seemed to me they are very happy to record this one. Arias and duets recorded here are chosen well. (But I hope they should have recorded more because there is a little room to record...)French, Italian, and American (Bernstein's "West Side Story".) arias are suited well to their voices. Speaking of "Tonight" from "West Side Story", I prefer this one to Kiri Te Kanawa and Jose Carrelas' version. (Because the latter couple is not suited well...why do Kiri want to record many Musical such as "My Fair Lady" and "South Pacific"? Her Eliza is the awful one I've ever heard.) Their English is so-so. In Italian and French, they do a good job. I hope they will record unknown Italian or French operas...I recommend it highly because this album is pleasant to hear. I always love to hear it. But this linernote is bad. I wanted to know more about these artists...and there are few pictures on it. However, this is worth buying to hear lovely duets. 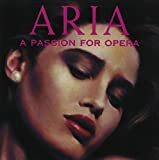 Speaking of arias, I don't know why they record the except from "Anna Borena". It doesn't work. Both my husband and I enjoy this CD. We love the music of this time period. Have given it as a gift and all the recipients have felt the same. author of "Love and Madness"
This is a fun cd. BYRD, BULL, BACH ETC come through great Scarlatti bits sound like a flock of unhappy cows running of a field of burnt popcorn but those bits generally do unless played on the African Kalimba [or thumb piano] in Africa where I need not hear them. This is a well engineered CD. Many featuring the harpsichord demand a level of equipment beyond that of any regular person with bills, which means this disk sounds just fine on a boom box. Everybody in the family will like some part of this disk 'cept for the 13 year old whose lost to punk rock or hip hop. I can't imagine a better sampler of harpsichord 'hits' played by one of the great stereo-era masters. A full complement of emotions is displayed here, from the most delicate and sparing texture to the most rip-roaring martial roar. 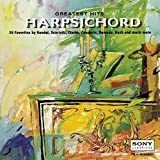 If you're wondering what the harpsichord is about, or if you're already a fan and want a great sampler to play for your own delight and amusement, you cannot go wrong with this recording. This recording of Sutherland's earliest records is absolutely brilliant!!! She soars through Arne and Handel as if it were the easiest music ever written. Whether you love Joan Sutherland, great singing or both: BUY THIS! The selections are relatively unconventional and unfamiliar--evidently a point with the concert choices made by Sutherland and Bonynge--which will be welcome and refreshing to many. As the notes point out, "This group is typical of the creative programs Sutherland and Bonynge would present for next 30 years. They created 15 different programs and appeared together 129 times in recital. . . . [They] loved to rediscover music and made a specialty of reintroducing the world to many forgotten bonbons, such as these." Dame Joan is in fresh, youthful voice (her international career began with her Covent Garden Lucia in 1959, and she was 32 to 35 when these recitals were broadcast) and sings handsomely throughout, often displaying an attractive mezzo-like fullness and warmth of tone. But Sutherland opera fans may be somewhat disappointed, not in the singing, but in the material here, which calls for little of the full-throated excitement, dazzling pyrotechnics, and brilliant high notes of her best opera recordings; this is more modest fare, and it is, appropriately, more modestly sung. The sound is decent, clean, eminently listenable monaural, no doubt from airchecks, but has this small annoyance: it is afflicted throughout with a residual level of pre-echo and post-echo that is clearly audible on a high-resolution playback system. 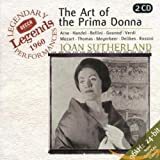 The indispensable Sutherland collections (apart from her complete opera recordings) are The Art of the Prima Donna (2 CDs, all 1960 recordings) and La Stupenda (2 CDs, recordings from 1959 to 1988); these should be owned by anyone interested in Sutherland, coloratura soprano singing, or simply great singing. This recital, while enjoyable, is certainly not of comparable importance. But if you are a Sutherland fan and would like to supplement her meatier operatic endeavors with engagingly sung concert fare from the early years of her international career, this is a good choice. this are sensational. what singing, what a voice. A MUST HAVE! A Very Moving, and Outstanding Performance! This has to be one of the best live recordings that I have heard! Marking the 100th anniversary of Carnegie Hall, as well as her solo debut performance, Kathleen Battle presented an intelligent, and varied repertoire of music that was sung with emotion and perfection. This flawless performance featured songs by Handel, Mozart, Franz Liszt (which I had never heard her sing before, and were very beautiful) Richard Strauss( you HAVE to hear "Amor! "), a very surprising, and moving set of songs by Sergei Rachmaninov; and was topped off with spirituals. This concert was very moving for another reason: The GREAT contralto, Miss Marion Anderson was an honored guest of Miss Battle, who dedicated a Rachmaninov song to her. No matter how many times I play this CD, it always makes me FEEL as though I was there that night, in the audience, thoroughly enjoying a glorious night of great music! I'd give this CD 20 stars if I could! Sheer perfection! God made the nightingale, and somewhere down the line, he touched a little girl named Kathleen Battle with what he originally gave to that bird from the beginning of creation. I cannot, for the life of me, believe that a voice could be so beautiful. I hear it, I marvel, but sometimes the sheer incredible beauty of this woman's vocal artistry is mind altering and surreal. Even the nightingale must suffer a moment of jealousy when a Kathy Battle tune is played! (This is bordering on blasphemous I know, and I beg forgiveness!) But Kathy Battle is simply amazing! This CD captures her at her best. I'm not an opera buff by any means, but I love the human voice and great singing. There is not a bad song in the bunch. Like one reviewer, I too, am not a big fan of the spirituals segment, but I have a higher tolerance for it than she..I can still enjoy them for what they're worth. Just BUY this CD...buy more than one if you can. One for home and one for your car. Believe me, you will not be disappointed. Kathleen has a beautiful voice, and it's wonderful to have a CD that includes both traditional opera pieces as well as fun gospel songs. I recommend this! Kathleen Battle, a woman with the voice today being known as that of an angel's. This CD includes some of the most famous lieder, melodies, italian art songs, arias, broadway, and spiritual pieces of all time. Some highlights would be Handel's "Ombra mai fu", one of his most beautiful and famous arias. Kathleen's recitative in "Ombra mai fu" is not boring at all, it is actually quite enjoyable to listen to, unlike most singers where you just hate their recitatives with a living passion. Kathleen then moved onto Mozart, and instead of singing his lighter lyric arias that we are used to hearing from Kathleen, we hear two of his art songs. Perhaps one of his most famous art songs, "Ridente la calma" is a soft, pure, and gentle song about love, much like his "Deh Vieni" that Susanna sings in "Le Nozze di Figaro." Kathleen sings this with a soft purity that will just melt your heart. Her high notes are always right in the head, and her placement of notes is superb. Something you will want to play over and over again. Liszt. A composer that most people know best for his piano music and not his vocal music. He did write some very pretty french melodies, such as "Oh! Quand je dors." It is very pretty, and haunting, and of course, only Kathleen could make it that way. After the Liszt french set, we move on to a set of R. Strauss lieder, very pretty, and cute music. I still prefer the music of french, but Kathleen did do an amazing job on both lieder, her tone properly placed, her vowels in the correct place, just an amazing job. Then comes in a set of Rachmaninov, including his "Vocalise", which is sung with excellent technique, breath control, vocal legato line, pure tone, every thing just excellent. Very haunting, making you get goose bumps up and down your spine. A great pleasure to hear. Then we pull over on Broadway to hear one of Kathleen's broadway tunes, "Summertime" from 'Porgy and Bess.' The tone placed a bit differently then the placement on the classical, but that is still good, because "Summertime" is more jazz like then opera like. My favorite on the CD is "Adele's Laughing Song" (Mein Herr Marquis) from 'Die Fledermaus,' with the great belly laughs sounding like Kathleen is really laughing. The expression in this aria is superb. The trills, the high Ds, the long run at the end are all very amazing showing off the very best of Kathleen's beautiful voice. How ever, I did take off one star because of all the spirituals on this disc. I don't care for spirituals in the least, no matter who is singing them. It is not any thing that Kathleen did wrong, I just don't like them, and I think she could have saved the audience and her voice by cutting those pieces out, and if she really had to put one in she could have put in "Swing Low, Sweet Chariot." Yes! I got this for my Christmas present, and am thrilled to death. I already have this on cassette and lp, but this is my first Cd with Sutherland because I'm a starving artist. But it is superb, far more luminous than the lp or the cassette. The sound is so life-like! Finally, a medium that allows the Sutherland voice to be heard as it should be. Every aria is a tour de force of the highest caliber. The most remarkable thing is the huge top. It is both enormous and has a brilliant vibrato. Funny thing that as Sutherland ages, the high notes got smaller and smaller. But not here, this is Sutherland at her best. I think if Birgit Nilsson had an E flat, that's what it would sound like, Wagnerian in size. Almost every aria has an high E flat or E. Besides the high notes is the most true to form of a trill that exist. An actual trill, not a tremolo like other divas. I believe that when Donizetti and Bellini wrote for Pasta, Grisi, and Malibran, this is the kind of soprano he had in mind when he wrote these near impossible arias. A true diva from the golden age. Of course, the difference between these divas of the past and Sutherland is the enormous size of Sutherland's instrument. Plus the fact that all those divas of Bellini's time transpose these arias down one full step or more. Sutherland doesn't do that. Even though she has a right to do so because the tones today are now almost a full tone higher than they were in the 17th century, so a high C then is only a B flat today. So an E flat today is much higher than an E flat in Donizetti's time. So all of Sutherland's E flats are actually high Fs! Imagine that. If there is a single cd I can have on a desert island, this would be it. This is, without a doubt, the most taxing program that any prima donna has attempted in a single recital, every arias is a tour de force, stretching the limits of the human voice in all but Sutherland. In fact, this seems easy for her - it's effortless. I challedge anyone to find a coloratura today, or anyday, who can match up to La Stupenda. The One Soprano Recording Every Collector Should Have! Sutherland's "Art of the Prima Donna" has never been surpassed by any other great soprano of the 20th century. Her voice is at once a glory to behold: the perfect vibrato, amazing power balanced by a delicate grace, the most glorious top, unsurpassed technical skills, and sheer beauty. I have purchased hundreds of other soprano recordings over the past 35 years but none has come close to this collection. I'm simply in awe of it every time I hear it. Critics who complain about her diction must find something to nag about; to me it's a non-issue. There have been many great female artists over the past 50 years, and many marvelous recordings (I ought to know--I own them), but you'll never hear ANYTHING like this. They don't call her "La Stupenda" for nothing! Like a walk in the clouds! What can one say about one of the greatest soprano recitals ever. Despite all her later achievements, this early recital is Sutherland's most significant contribution to operatic discography. This recital is full of her huge but always sweet high notes. This is after all, what made them so special. When I listen to these high notes it's as if a bird is taking me on a trip to the sky. Her coloratura abilities are jaw dropping to say the least. You have no idea what a trill or staccato means if you haven't heard Joan singing! Everything here is stunning but my favourites are her Bell Song, Care compagne and The soldier Tir'd. I've never been Sutherland's greatest fan due to her mushy enunciation, which fortunately is restricted to the minimum here but this early recital never stays far from my cd player! Indeed the art of a primadonna, Sutherland's art! Haven't you been disappointed sometimes by 5 star reviews? Gushing superlatives? Well, it's simply impossible to indicate in mere English how exceptional this recital is. Can a human being actually do that with her voice? Can we give it 100 stars? Totally corny and totally classic! What can I say? These attempts to poke fun at classical music and aficionados of the genre are silly, puerile, well-informed, beloved by said aficionados, and utterly hilarious. With a style of humor that is something like a cross between Garrison Keillor, Victor Borge and Monty Python, "Professor" Peter Schickele has been perpetrating the P.D.Q. Bach phenomenon since 1959. "Researching" and sometimes even dressing up as the alleged "last and least" of Johann Sebastian Bach's many children, Schickele has composed, conducted and performed send-ups of various composers and musical styles. This four CD set compiles some the best (or should I say "worst"?) of his efforts. Included are "The O.K. Chorale", "The Unbegun Symphony", "My Bonnie Lass, She Smelleth", "The Seasonings", "Schleptet in E flat minor", "Echo Sonata for Two Unfriendly Groups of Instruments", "Concerto for Horn and Hardart", and my two personal favorites: "Beethoven's Fifth Symphony" (with commentary by sports analysts discussing the "competition" between the conductor and the orchestra) and the hilarious cantata "Iphigenia in Brooklyn". I can remember my father rolling on the floor in hysterics upon first hearing "Iphigenia", and anyone who is familiar with the Baroque oratorio style of such ubiquitous works as Handel's "Messiah" or J.S. Bach's cantatas will undoubtedly howl too at all the "in jokes". If you're serious about Baroque or classical music, do yourself a favor--let your hair down, get un-serious, and listen to these CDs every once in a while. And may every genre of music be fortunate enough to have a "P.D.Q. Bach" invented for it! This four disc collection (Volume 1) of the pre-digital recordings of P.D.Q. Bach is excellent! P.D.Q. is the Anti-Mozart, and devilishly dis-fun-ctional at that. And for comedy music, the upside to Professor Peter Schickele is that the music is actually memorable and quite good on its own. The more you know about classical music or music theory in general, the funnier this music becomes. After listening to the oratorio The Seasonings, tell me you didn't roll your eyes at the trio "Bide thy thyme", remember the last football game you attended during the Finale, or find yourself singing "Open sesame seeds" about an hour or so later. The Unbegun Symphony is at least as exciting as the sum of its forty-odd, far more illustrious parts. Why pay for a music appreciation course when you can cram it all in just under 9 minutes. I remain ever-so-slightly disappointed to this day that Mozart didn't think of the same key change in Symphony 41. The Pervertimento is priceless. Beethoven's Fifth with running commentary is probably one of the best routines on record. The Schleptet lays a glorious egg and the two operas are irreverant and inane respectively. Oh yes, and don't forget to cringe during "Please, kind sir". The remastered sound is excellent compared to their first digital release. ... I ... am having to wait until Vanguard releases the second volume so that I can have a decent copy of the Missa Hilarious. However, in the meantime this collection will do just fine. Having indulged in the works of Prof. Schickele whom I call the "Weird Al" of Classical Music (Sorry, Al) for ten years now, I give this collection thunderous applause, especially for the fact that it FINALLY includes the "Sanka Cantata!" However, it's my personal opinion that it pulled up one album too soon. Had it included "Portrait of P.D.Q. Bach," there would be no need to wait for Vanguard or Schickele or whoever to remaster the rest of the Vanguard PDQ catalogue. But, since it doesn't, I'm noting my objection here. I bought this cd after listening and loving Noirin's other music. 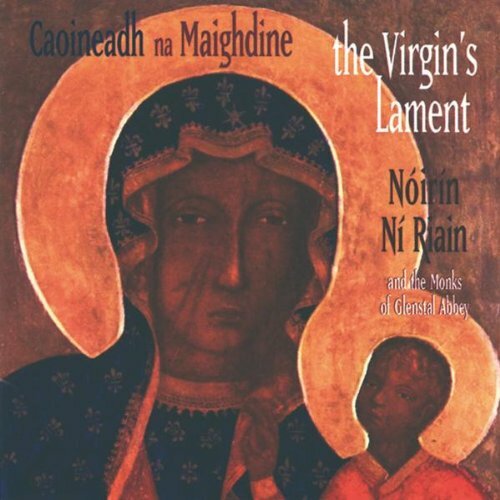 Enya eat your heart out.... Noirin's voice and her ability to portray her emotions thru the Gaelic is sheer heaven. This exqusite CD is a threshold into a finer level of existance. As a yoga teacher I have found it to be a lovely adjunct to practice as the melodies pour through the brain and liquify any tensions as they soak and gracefully melt through the spine, through the whole nervous system. With even a shred of attention on this profound music your whole awareness will settle into that sacred space of your own being, Being Itself. This CD is a masterpiece. The 11 1/2 minute final track - "The Blessed Virgin's Keening" - is sufficient justification for this album. The monks of Glenstal are superb in this antiphonal (call & response) plainsong sung in Gaelic. It is repetitive but never boring as there are constantly subtle changes keeping the listener's interest. "Mary's Keening" which begins the album is a perfect counterpoint to the final piece. 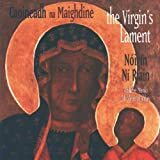 "The Seven Sorrows of the Virgin Mary" is probably the most recognized piece on the album - and again an excellent rendition. There are no poor tracks - give this a listen and I'm sure you'll want an encore.